Trinicon is a registered trademark of Sony. 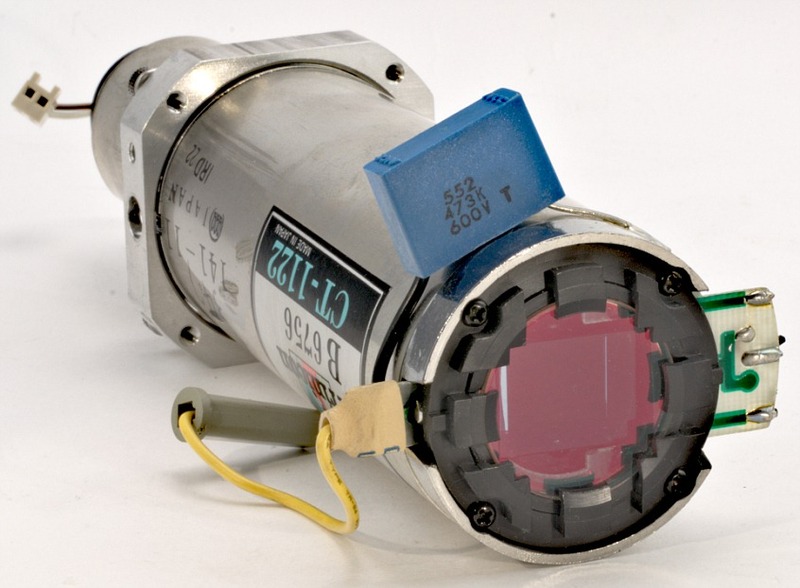 It is a special derivative of the saticon pickup tube, using a vertically striped RGB color filter over the target to segment the scan into corresponding red, green and blue segments, making it possible to use only one tube in a camera, instead of a tube for each color, as is standard for color cameras used in television broadcasting. However, compared to three tube cameras, the incoming light is partially absorbed in the filters, limiting its use in higher illuminations. 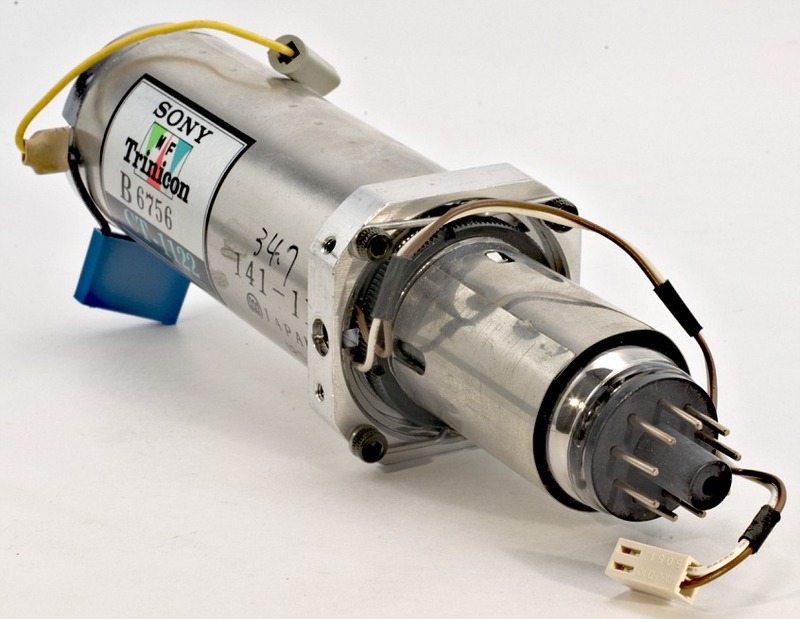 Although the Trinicon was used mostly in low-end consumer cameras and camcorders, Sony also used it in some moderate cost professional cameras in the 1980s, such as the DXC-1800 and BVP-1 models. Longueur • Length • Länge : 17,9 cm • 7"